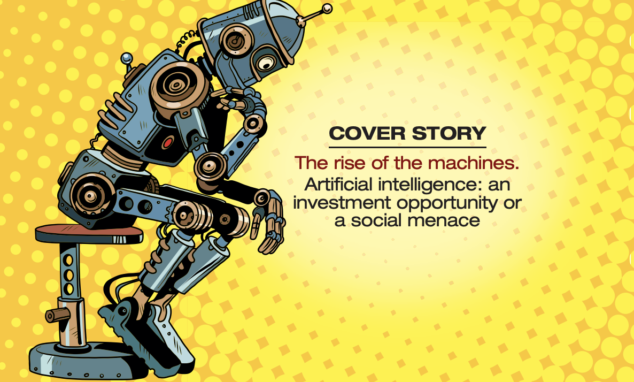 AI is already with us, as both an investment tool and an investment opportunity. But while some worry about the disruptive effects, for those willing to take the leap, the payoff could be huge. Anna Fedorova reports. The use of artificial intelligence (AI) and machine learning is a relatively new concept in the world of investment, but it is one that is increasingly gaining traction and its popularity is only set to growth along with technological advances. In a recent report, Thematic Investing: Transforming World, Bank of America Merrill Lynch identified big data and AI as one of the five key themes set to shape our world in the next five years, with areas such as technology, e-commerce and payments seeing particularly strong tailwinds. “The pace at which themes are transforming businesses is unprecedented today, but we believe this rate of technological change will be faster still over the next five years,” the report said. While some industries are already fully embracing artificial intelligence, we are only just beginning to see the impact it can have on financial services. Nevertheless, asset managers are now realising they must embrace technological progress or risk being left behind. A global survey of 300 asset managers conducted by Fitch Solutions and WBR Insights has found that 69% of the asset managers surveyed are looking to technologies like AI to help with investment decisions, while 66% believe technology will disrupt the status quo in terms of workflow and portfolio management tools. accelerate and broaden out over the next decade. However, as an investor, whether you want to gain access to companies that are already seeing full scale disruption from AI or you wish to see machine learning applied to an investment strategy, there is a lack of choice in the market. At the same time, there is currently no specific peer group or benchmark for funds offering exposure to the theme. Unlike with a large traditional asset class, such as UK equities, where investors can look at the corresponding Investment Association sectors to compare funds against the peer group and look back at years of performance analysis against a well-established benchmark, such as the FTSE 100, investors must be prepared to do their own research into AI funds. But for those willing to take the leap, the payout could be huge, as the industry is set to see exponential growth. According to UBS, revenues from the AI industry are set to jump to $12.5bn by 2020 from an estimated $5bn in 2015; representing a 20% annual growth rate. When choosing an investment option, things to consider are whether a fund is purely focused on AI or incorporates this into a themed equity strategy; whether the manager uses machine learning with the investment strategy; and whether to invest via an active fund or an ETF. A fund Khalaf particularly likes, and one of the pioneers in the space, is the £129m Smith & Williamson Artificial Intelligence fund co-managed by Chris Ford and Chris Day. The fund has a strong emphasis on diversification, and so has limits on how much can be invested in technology and in companies based in the US at any one time, in an effort to avoid becoming a “pure tech or America fund”. Apart from the technology sector, Ford is seeing opportunities in areas such as healthcare, energy, the automotive industry and the advertising market. While the fund is an active product, the team also uses a proprietary AI platform co-developed with Orbit, which allows them to sift through large quantities of data without the help of analysts, keeping down costs. The fund has an OCF of 0.92%. Another fund that utilises machine learning techniques within the strategy is the recently launched Aberdeen Global Artificial Intelligence Global Equity SICAV, which sets out to dynamically time ‘factor premia’, such as quality, momentum, value and low volatility, akin to a smart-beta strategy. This also ensures costs remain low, with an OCF of 0.66%. David Wickham, global head of quantitative investment solutions at Aberdeen Standard Investments, said: “This is an innovative AI-powered approach to factor timing, that enables us to systematically determine the weightings to each factor within the new global equity fund and also allows us to time the relevant individual metrics used within those factors. Another way to access the growth of AI is through a thematic fund focusing on specific industries such as robotics, technology or cybersecurity. The list includes the Pictet Robotics fund, AXA Framlington Biotech and GAM Star Technology. As the use of AI within the financial industry grows, there are also funds offering exposure directly to the fintech theme. 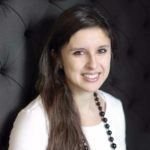 For example, the AXA Framlington Financial fund was recently renamed the AXA Framlington FinTech fund, and will now incorporate companies providing technological applications throughout the financial services supply chain. to a particular sector, such as financials, technology or healthcare. Investors must also be mindful of potentially higher fees for some of these products; for example, the OCF for Pictet’s Robotics fund sits at 1.19% and GAM’s technology fund costs 1.27% per annum. For the more adventurous investor, there are less traditional ways to access the space. An example is the Cerracap Ventures fund II, launched by Cerracap in partnership with Milltrust International and aiming to raise $50m. This is an early stage venture capital fund investing in private companies in the cybersecurity, AI and healthcare tech space, a strategy aimed at avoiding the trap of investing in listed AI companies that have already reached high valuations. Though this approach could potentially bring higher returns, there is a catch: the minimum investment is $1m, while the management fees are also higher, at an average of 2% (depending on amount invested), with a 20% GP carry. On the other side of the spectrum is the option to invest through passives. Kenneth Lamont, passive strategies analyst in the manager research team at Morningstar, says the benefit of this is the extra transparency an ETF wrapper offers. The only product focusing exclusively on the AI theme, he says, is the Amundi Stoxx Global Artificial Intelligence UCITS ETF, launched in September and already counting €100m in AUM. “Not only can investors see all 250+ of [this] ETF’s holdings on a daily basis, but they can also inspect the rules used to select fund holdings,” Lamont said. “The Amundi ETF selects stocks according to two metrics; AI exposure …and AI contribution. The fund equally weights all holdings, which gives it a small-cap tilt.” The other benefit of this approach over an active fund is the cost – with an ongoing charge of just 0.35%, it beats even the lowest-cost quant strategies. However, Hargreaves Lansdown’s Khalaf notes that index construction is fairly challenging in such a new space, and while the universe will continue to expand over time, a passive index may struggle to keep up with these changes. 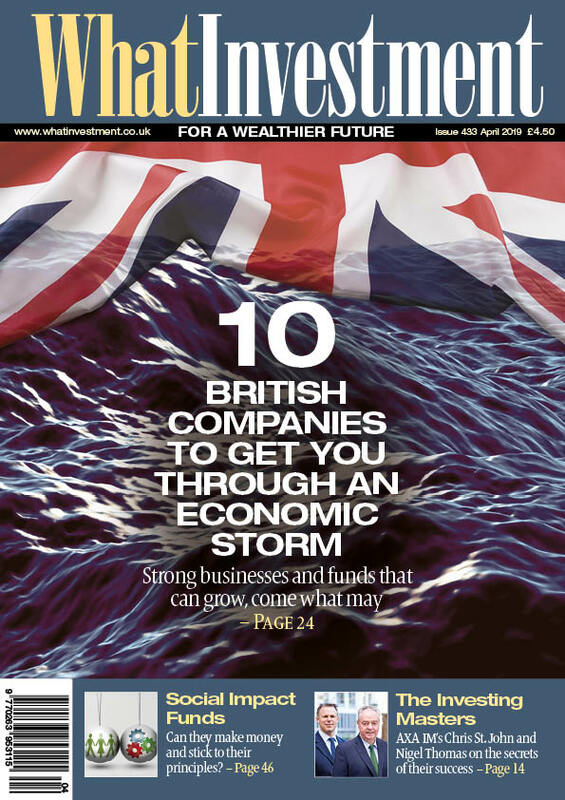 What Investment is the premier magazine in the UK for private investors, exploring opportunities across the market, seeking out the best funds, shares and ideas. We also look at the latest trends in wealth management and tax planning to give our readers a unique perspective in a fast moving world. 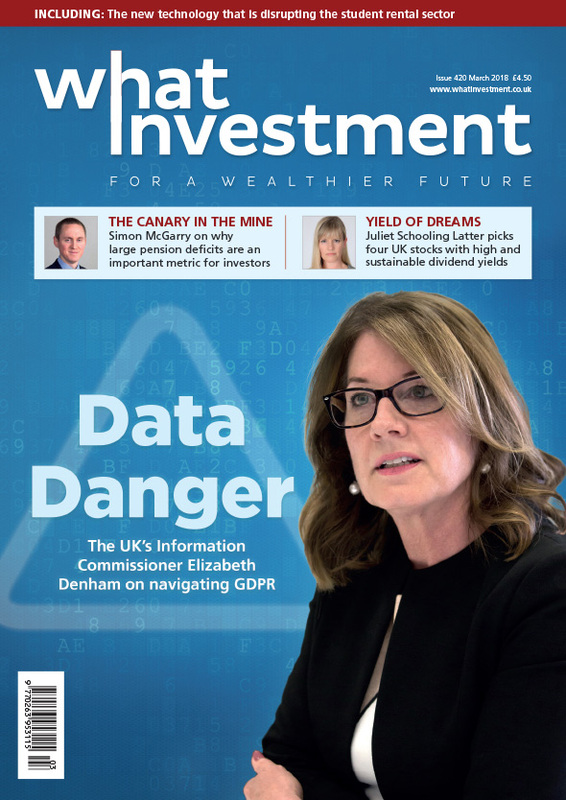 What Investment is the premier magazine in the UK for private investors, exploring opportunities across the market, seeking out the best funds, shares and ideas. We also look at the latest trends in wealth management and tax planning to give our readers a unique perspective in a fast moving world. Get access to the digital pdf and have the physical magazine delivered to your door. What Investment is committed to exploring the best opportunities in the investment trust market. 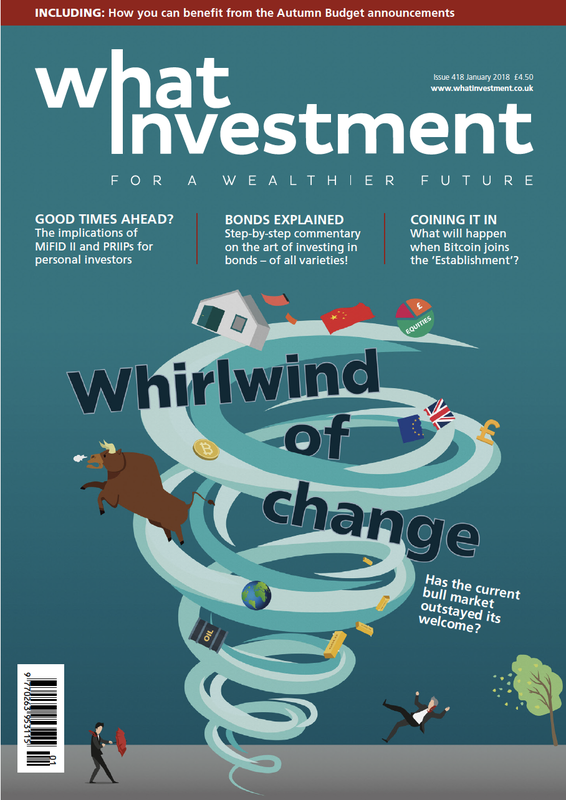 Investment Trusts are covered in every edition of the magazine, and in alternate months we delve into the best opportunities in our special investment trust section. 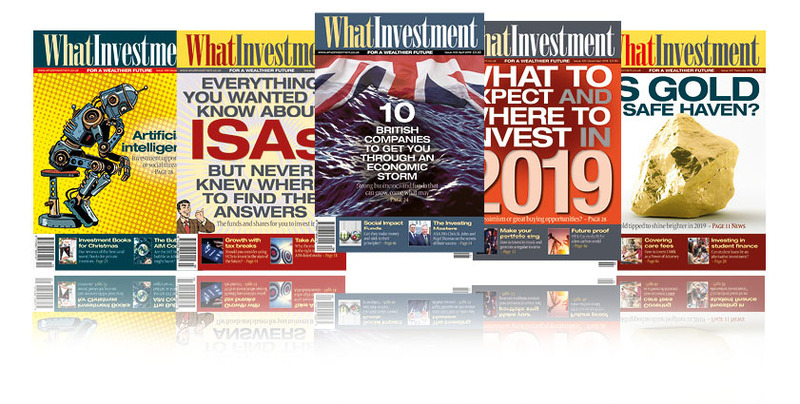 Readers who have been with What Investment since its launch over thirty years ago regularly tell us that their subscription is one of the best investments they have ever made.